For anyone in the LA area, check out this great training opportunity. 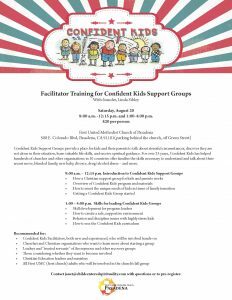 It’s how to run support groups for kids going through adjustments like a divorce or separation, a move, a new baby, substance abuse in the family– or another life change. Especially helpful for children’s pastors and directors, I highly recommend it. This group very much takes a coaching approach, which works great with kids.